Kill 2 birds with only 1 stone with Star Trek Red Alert video slot powered by WMS. Not only it allows making real money but also to enjoy a Star Trek movie as the casino slot is based upon this. The slot machine, filled with utmost entertainment, has 5 reels and 25 pay lines. Star Trek Red Alert is equipped with detailed features and bonuses. It has a Win Wrap feature that contains four different games while the Red Alert feature offers unlimited free spins as well as huge multipliers. Moreover, the video slot has a number of amazing sounds that never let the players feel bored. How to play Star Trek Red Alert? Rules are nothing but a piece of yummy cake. Just spin the reels and win real money as a reward for winning combinations that appear on all of its 25 active pay lines. Though you cannot alter the number of win lines, you can select your bet per line as well as the feature bet to decide the amount you would bet. And this is very important as the total win depends on this. Line pays should occur on the adjacent reels, initiating with the leftmost one. The wins get paid as per the paytable that indicates existing bet configurations. What are the Features of Star Trek Red Alert? Red Alert Feature – Feature symbol 3 or more anywhere on the reels triggers Red Alert feature. You will collect 1 medal. This feature offers unlimited free spins. But each winning spin blasts way any of the multipliers that range from 2x to 15x. It has to start with 5 shields initially and every spin where you won’t get a winning combination eliminates 1 shied. Once all the shields are removed, you have to choose between 2 channels for communication. But if you can reveal ‘Spin Till you Win’, the reels will spin until you get a winning spin. And with ‘Shields to Full’, the shields will be recharged back to 100% and the feature continues. Getting a ‘No Extra Spin’ denotes the end of the feature. Getting 3 or more Shield symbols during a spin will allow you to reset the shields back to 5. The 15x multiplier always remains on the screen even if it’s blasted. You will be awarded a medal every time you hit it. Scotty’s Wild Reel – Scotty fills 1 to 2 reels entirely with its symbol. Rock Create Multiplying Wild – Rock Create leaves a multiplying wild (with a multiplier value between 3x and 10x) in random positions on one of the reels. Enterprise Fly-By – Enterprise flies onto the screen with symbols in winning combination to change into a more rewarding symbol. Spock Multiplier – It appears and multiplies the win amount somewhere between 3x and 10x. Star Trek Red Alert is one the best and most popular slots in UK land casinos as well as online casinos that will take you on a fantastic trip with Spock, Captain Kirk, and other Start Trek characters. No download is required to play this video slot. 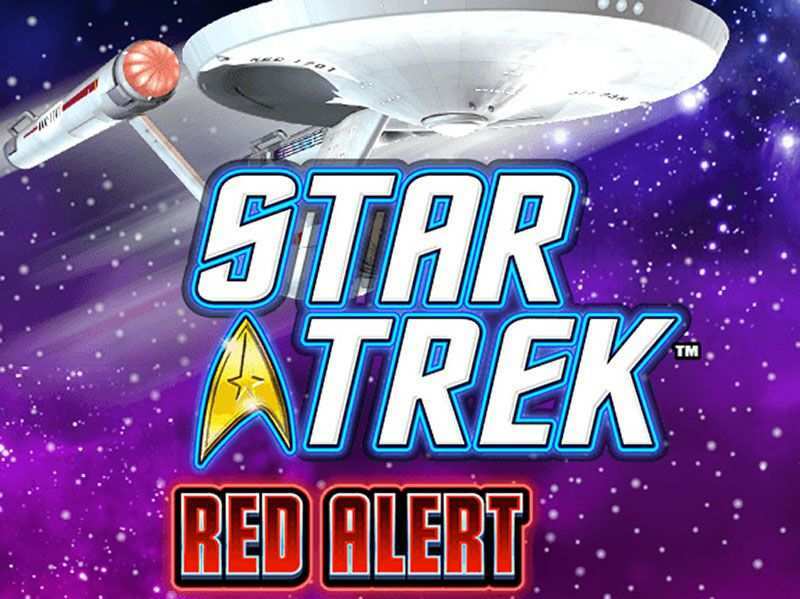 0 responses to "Star Trek Red Alert Slot"
1 How to play Star Trek Red Alert? 2 What are the Features of Star Trek Red Alert?